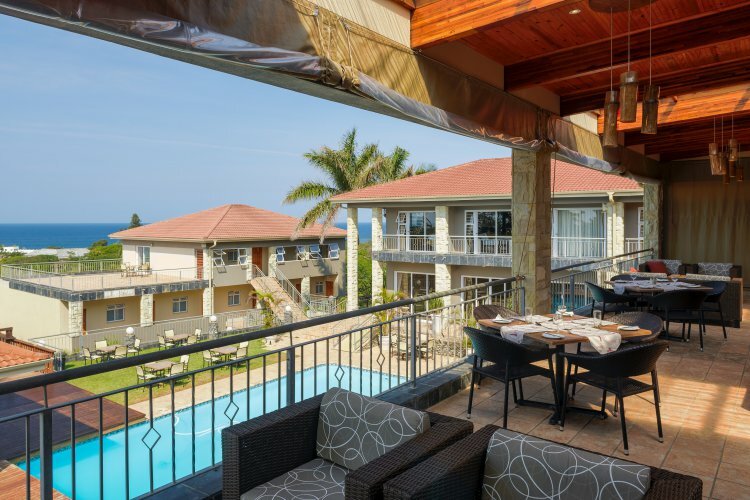 UMTHUNZI HOTEL & CONFERENCE is an award winning, uniquely, affordable luxury venue that welcomes Leisure guests, Business delegates, Events and Wedding parties and Restaurant diners. 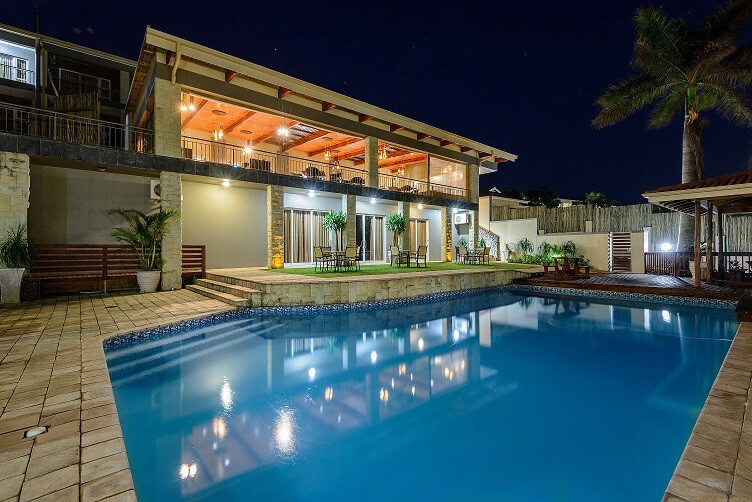 With stunning sea views of the Indian Ocean and a short walk to the beach, you will experience the best that the Hibiscus Coast has to offer. With its all equable climate and pleasant water temperatures, you can enjoy both beach and bush getaways all year round. For adventure, golfing, fishing and birding enthusiasts, the region is unsurpassed. 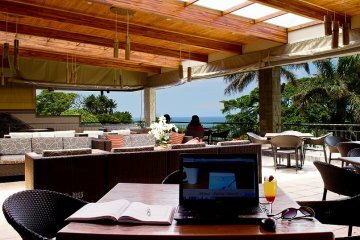 Whale watch from the terrace deck enjoying cappuccinos, well designed food and a tantalising sundowner! Conference delegates will be amazed at the turnkey, professional and friendly service that Umthunzi is proud of. 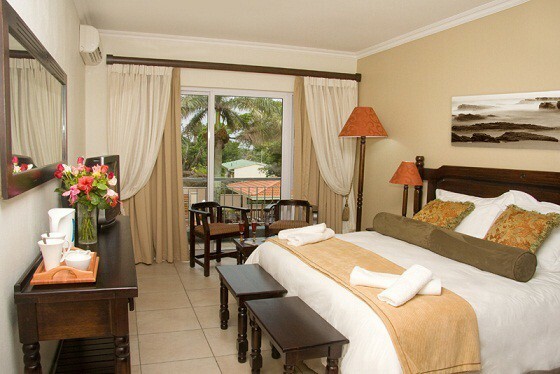 Honeymoon couples be spoiled in one of our luxurious suites. 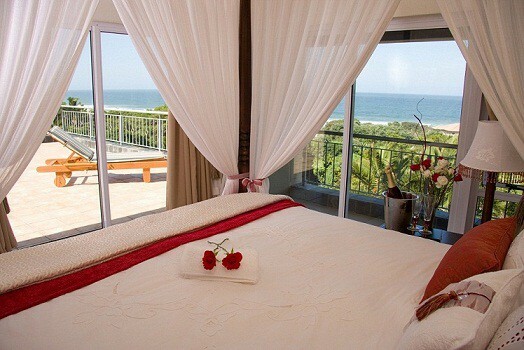 Choose from a room with a romantic 4 poster percale draped bed with panoramic sea views or our irresistibly romantic, tranquil and spacious Milkwood Bridal Suite boasting a unique round bed. Weddings and functions are popular at this venue where making your day special is the staff’s priority. 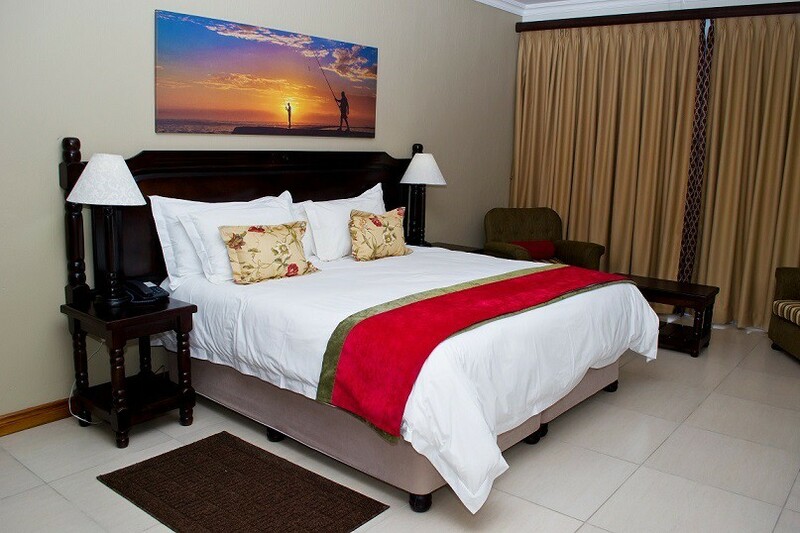 Unwind in a lovely Deluxe bedroom that offers the space and comfort of a luxurious, clean and air-conditioned room in which to relax. Enjoy neat, well-appointed décor, private balcony, twin or king top quality beds draped in percale linen and smart ensuite bathroom. 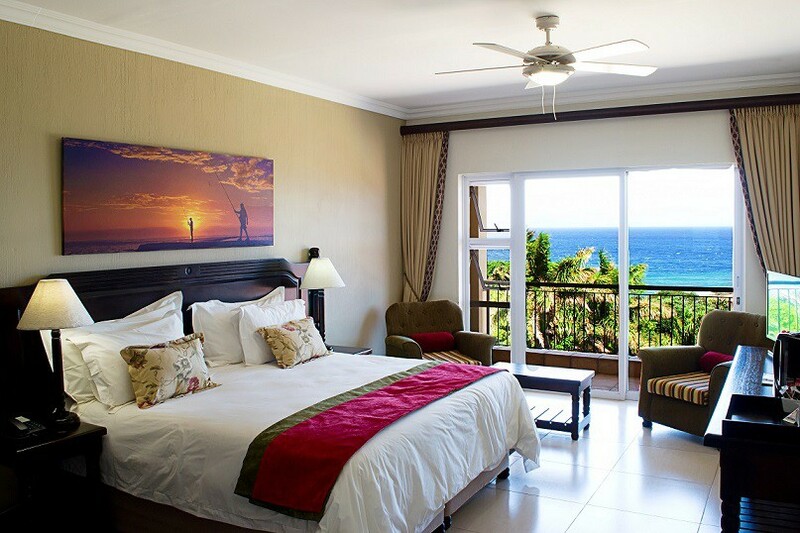 Most rooms have fantastic panoramic or partial seaviews, or listen to the birds chirping from treetop view rooms. Fresh sea breezes and wide skies will refresh you. Our In-Room spa services offer a full range of expert beauty and wonderful massage treatments, after which you can simply relax in your room or catch up that much needed sleep. Create a wonderful Family Room by adding to your smart Deluxe bedroom a very spacious inter-leading lounge plus adjoining bunk bedroom. Sleeping up to 6 people or book another deluxe room to make this an 8 bed family room, ideal for family or friends to connect privately and have a space in which to be comfortable in style. 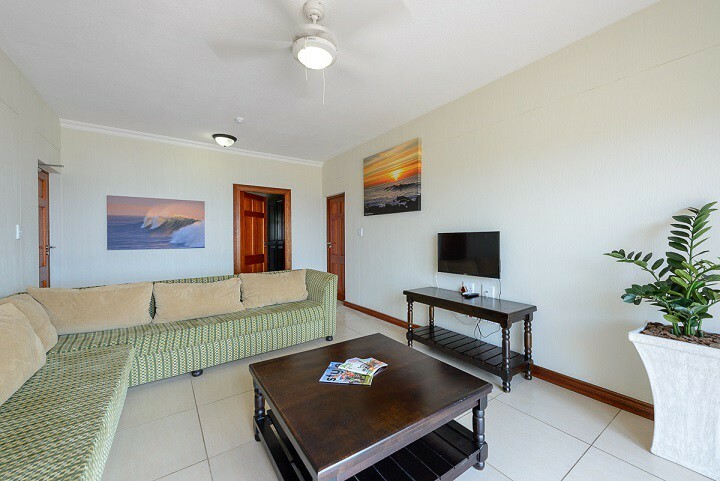 The lounge and Deluxe bedrooms each have their own TV and lockable doors, so you can choose to be together, or have much needed alone time. 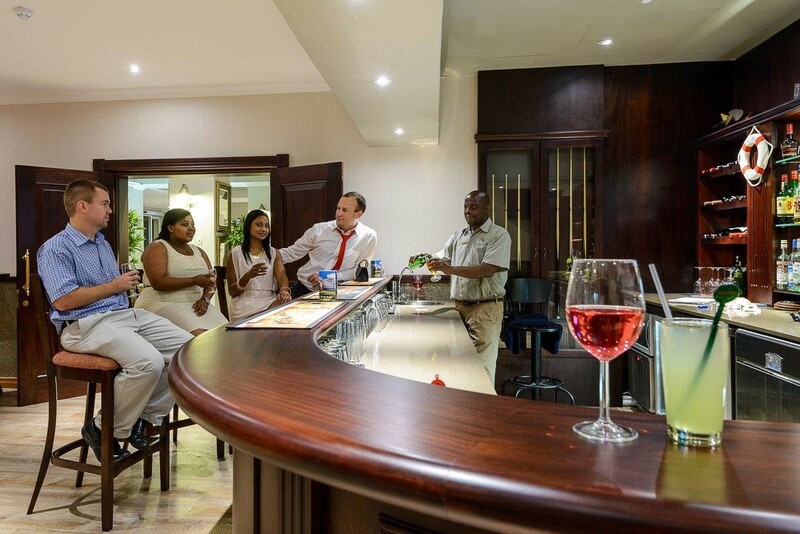 Enquire with our friendly front office staff as to the room combination that best suits you. 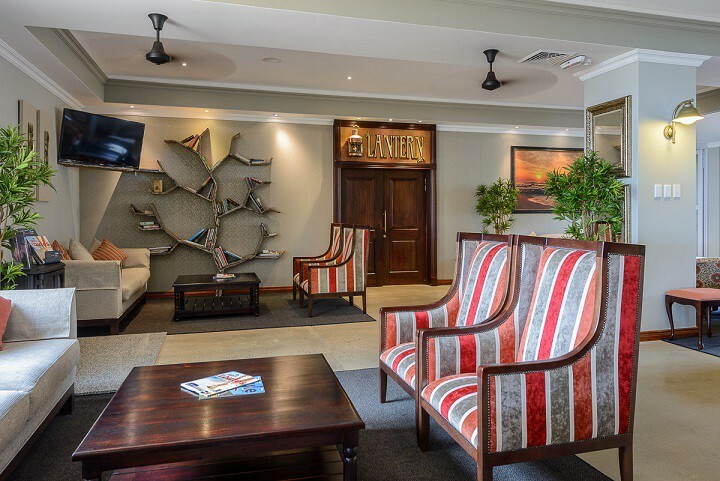 For business folk at a small additional fee add an inter-leading lounge to your Deluxe room, to have even more space, or use for a private meeting area. 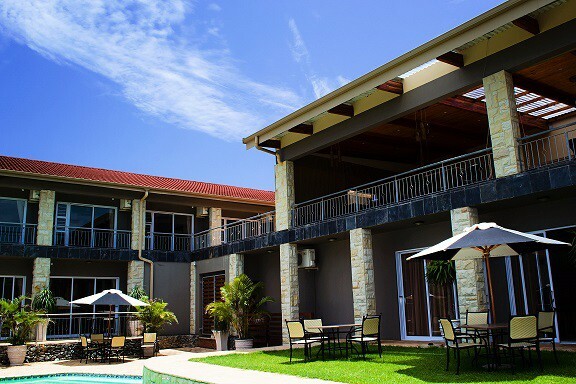 The magnificent Milkwood Bridal Suite, opened in late 2016, is the most luxurious on the southern Kwazulu Natal coastline. 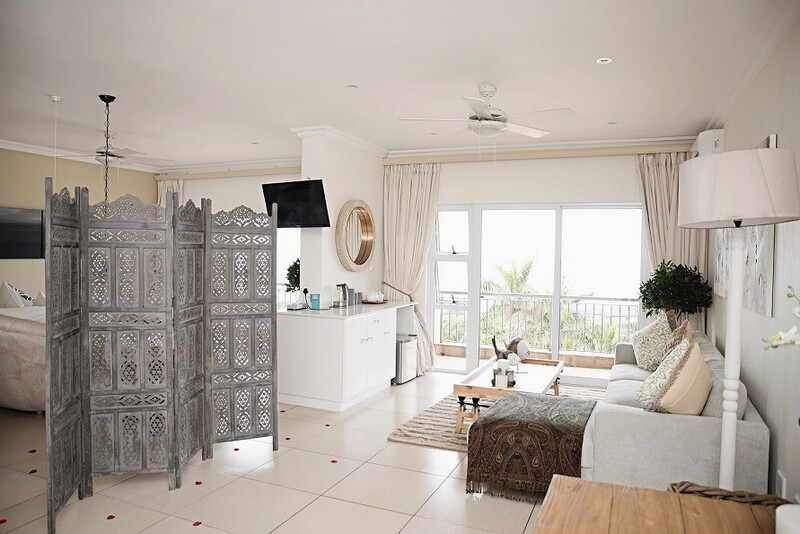 Tucked away on the top floor with an incredible view of the Indian ocean & a small private balcony, it is a luxurious retreat for a romantic stay. Boasting a unique round bed of the highest comfort, draped in 800 thread count percale and sumptuous throws, there is also a wonderful spa bath and intimate enclosed double shower. Designer décor creates an elegant environment for a most memorable stay. With beautiful soft neutral tones and blended fabrics, this a suite that is tranquil and upmarket. Open planned for gracious comfort, the lounge has a bar fridge and flat screen TV, with a gorgeous dressing area for bridal parties to get ready for their special day. Additional features include cosy bath robes, hairdryer, peacock chair (for stunning photos) and soft oversized fluffy towels. Our spacious and beautiful Bridal Suite has everything needed for a perfect romantic night for bride & groom, for a heavenly honeymoon… or simply just spoil yourself and book! Room 11 has a wonderfully romantic 4 poster bed, draped in percale linen and softly folded overhead drapes. It boasts a wide balcony with air conditioner and shower. 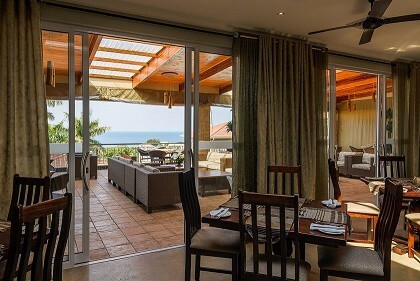 Undisturbed tranquil and panoramic sea views can be enjoyed from this room that is situated in the front of the property.It also has an interleading door to a lounge, perfect for a getaway honeymoon. Bridal parties can get ready here before their magical wedding @ Umthunzi.